For detailed information on subtidal habitats see Appendix 8 of the Regional Strategy 2018. Our understanding of the historical and present distribution of subtidal habitats is limited by the fact that these habitats have been typically mapped as uniform open water, with little detail on key sub-habitat types. 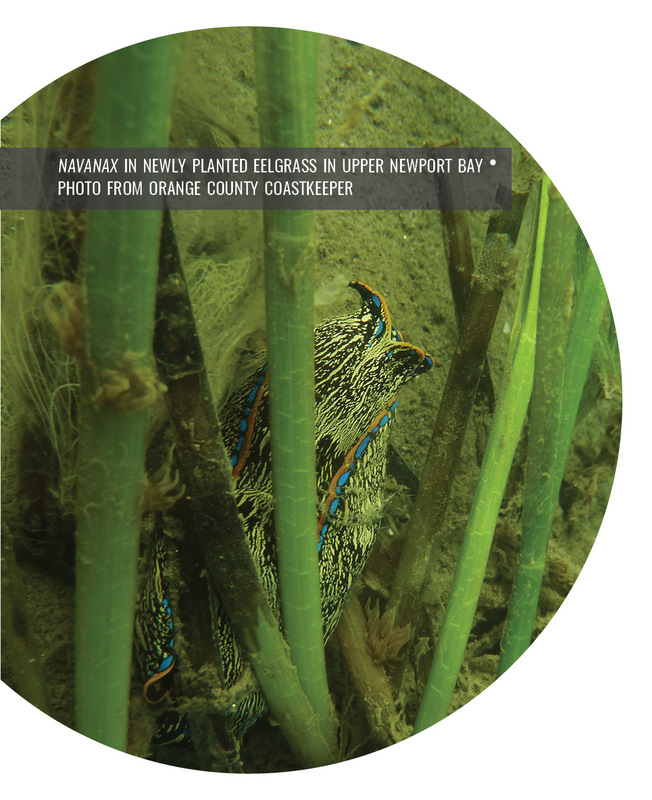 In reality, subtidal habitats can range from sessile species attached to harbor pilings to extensive eelgrass beds in estuaries. While subtidal habitat types occur across the whole Southern California Bight, they are diverse and dynamic. Their key characteristics, persistence over time, and biological composition can vary among wetlands, seasons and from year-to-year as water temperature, turbidity, and salinity vary. This diversity is in part a reflection of the diversity of wetland types found in Southern California. The subtidal habitats are critical in terms of food web, fisheries, and numerous other ecosystem services and functions. Ecologically and commercially important fish rear in warm estuarine waters, rich with small invertebrates. Many of these species reproduce in the ocean, then as small juveniles migrate into estuaries to rear, and as larger juveniles migrate back to the ocean. Subtidal habitats also serve as migration corridors. Submerged aquatic vegetation is a critical habitat as it serves as nursery habitat, foraging grounds, and refuge for fish; as well as removing nutrients and suspended sediments from the water column, and improving water clarity. There has been drastic habitat type conversion and degradation in subtidal habitat primarily due to dredging activities and urbanization. In many places the subtidal zone has been deepened to allow navigation. Sedimentation regimes in coastal embayments have been highly altered as a result of upstream development and construction, which impacts subtidal habitats.